1. 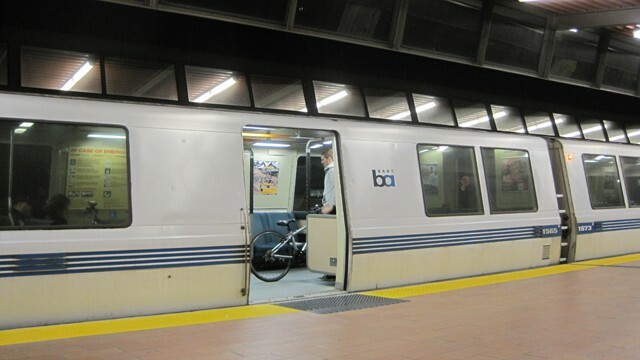 BART and Amtrak have agreed to team up to examine plans for a second rail crossing of the bay — either a new transbay tube or a train bridge, reports Phil Matier of the San Francisco Chronicle$. The proposal would also connect San Francisco to Sacramento via Amtrak’s Capital Corridor line. The new crossing would also handle high-speed rail. 2. Gov. Gavin Newsom ordered the state’s first-ever review of charter schools’ financial impact on traditional public schools, EdSource reports. State Superintendent Tony Thurmond will select a panel to study the issue and report back to the governor by July 1. Charter school critics have often charged that the schools harm traditional schools by siphoning scarce resources. 3. The Alameda City Council approved plans for a waterfront hotel on Bay Farm Island, rejecting an appeal by neighbors of the project, reports Dean Boerner of the San Francisco Business Times$. The 172-room hotel will be operated by Marriott Residence Inn. 4. California Atty. Gen. Xavier Becerra vowed to sue the Trump administration if the president follows through on his threat to declare a national emergency on immigration in order to build his controversial border wall, the LA Times$ reports. Becerra made his comments during his official State of the Union rebuttal in Spanish. 5. State Sen. Nancy Skinner, D-Berkeley, introduced legislation that would allow college athletes in California to be paid for the first time via corporate sponsorships, reports Marcus Thompson of The Athletic. Skinner’s bill, The Fair Pay to Play Act, also would bar universities and colleges from punishing athletes who get paid for use of their name, likeness, and image. 7. Former President Barack Obama, Warriors superstar Stephen Curry, and singer John Legend will headline a three-day event this month in Oakland, reports Katie Dowd of SFGate. “The Obama Foundation announced Tuesday the trio will all be speakers at the first national convention for the former president’s My Brother's Keeper Alliance” at Oakland’s Scottish Rite Temple. 8. And San Francisco ice cream company Humphry Slocombe plans to take over the old location occupied by the shuttered Ici Ice Cream in Berkeley’s Elmwood district, reports Sarah Han of Berkeleyside.